KATANGA Mining, a unit of UK-listed mining and marketing group, Glencore, would resume exports and sales of limited quantity cobalt from its Kamoto project in the Democratic Republic of Congo, said Reuters. Katanga said in November that it had temporarily suspended the export and sale of cobalt from the project after uranium was found in levels above the acceptable limit for export. 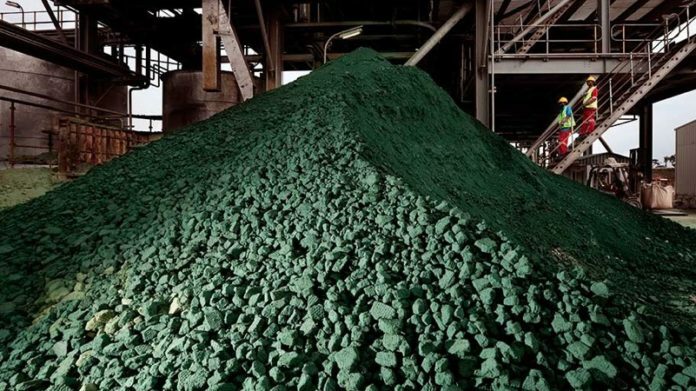 RBC Capital Markets said at the time of the cessation in production, during November, that Glencore would have produced about 22,000 tonnes of cobalt between the third quarter of 2018 and the second quarter of this year – about a quarter of total world cobalt supply. It calculated a potential revenue loss to Katanga Mining at about $700m.